Sri Lanka had released 42 Indian boats, from a total of 143 in its custody, as a goodwill gesture following Prime Minister Narendra Modi's visit to the island nation in May. 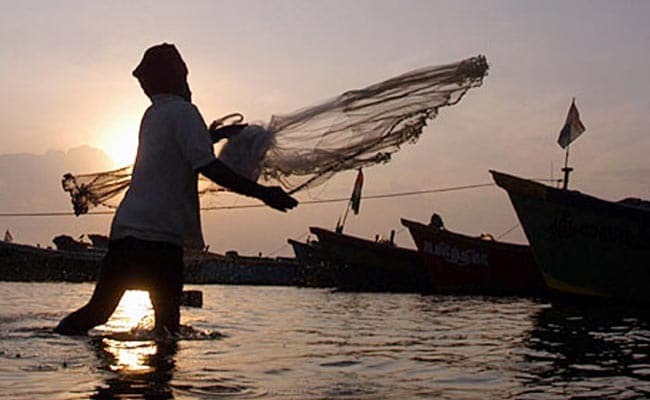 Colombo: The Sri Lankan Navy on Thursday announced it had arrested four Indian fishermen for illegally entering the country's territorial waters. Sri lankan Navy spokesperson Lt Commander Chaminda Walakuluge told Xinhua news agency that the arrests were made on Monday night. The authorities seized a trawler used by the fishermen. But officials have warned that Indian fishermen will continue to be arrested if they poach in Sri Lankan waters.